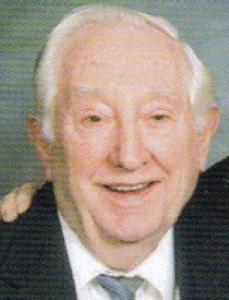 William E. Sedam, 85, of Sidney, died at Fair Haven Shelby County Home, Sidney, Ohio on Saturday, June 9, 2007 at 5:00 AM. He was born July 21, 1921 in Troy, Ohio the son of Otto and Mary (Schneider) Sedam and they are deceased. He was married on February 6, 1957 to Dora Harper and she died June 10, 1980. He married Edith (Yost) Reineke in 1982 and she survives along with four children, Diane Lowther of Huddersfield, England; Mrs. Clifford (Margery) Clarke of Hull, England; Mrs. Alan (Gloria) Fory of Hull, England and Ken Sedam and wife Tammy of Marion, Ohio and one stepson, Joseph Reineke of Powell, Ohio; seven grandchildren; three great-grandchildren and two step-grandchildren; two sisters and one brother are deceased. He was a 1940 graduate of Troy High School, Troy, Ohio. He was a United States Air Force veteran serving in 1943 in World War II in England. He was a member of the Sidney American Legion and Holy Angels Catholic Church. He had worked for the British Gas Board as a meter technician and retired in 1981. A Mass of Christian Burial will be held on Friday, June 15, 2007 at 10:30 AM at Holy Angels Catholic Church with Rev. Gerald Bensman. Burial will be at Graceland Cemetery, Sidney, Ohio. Friends may call at Holy Angels Catholic Church one hour before the mass. Memorial contributions may be made to Wilson Hospice, 915 W. Michigan St., Sidney, Ohio 45365 or Holy Angels Catholic Church, Endowment Fund, 324 S. Ohio Ave., Sidney, Ohio 45365. Envelopes will also be available at the visitation.